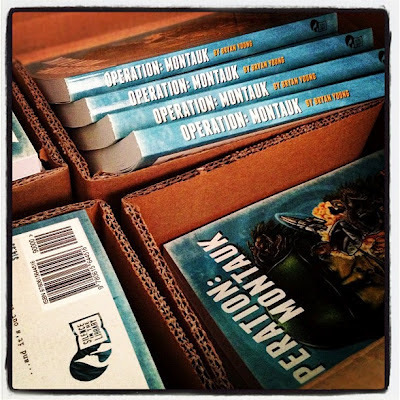 As soon as I get back, I'll will be launching the official Salt Lake City premiere of Operation: Montauk at The King's English Bookshop. It's June 8th at 7pm, and they're located at 15th East and 15th South. I will do a reading, light refreshments will be served, and then I'll be signing books. I'd love to see as many of you as possible out for that. The next day, June 9th, from 12-3pm, I'll be signing copies of Operation: Montauk at Dr. Volt's Comic Connection. Dr. Volt's is at 2043 East 3300 South and it's the perfect opportunity to get your comic books and grab a copy of the book. The week after that, June 15-17, I will have a table in the Artist's Alley at the Denver Comic-Con. I'm told I will be on a panel or two, but that hasn't been finalized yet. 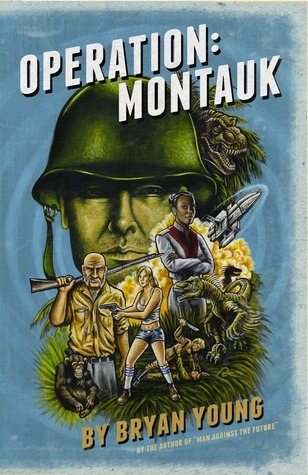 I'll have copies of Operation: Montauk, and DCCC will be the premiere of the audio-book of Man Against the Future, as read by Marcus. I hope to see as many of you out there as possible. I'll continue updating you guys as more signings, events, and reviews of the book are added. Giveaway ends June 20, 2012.